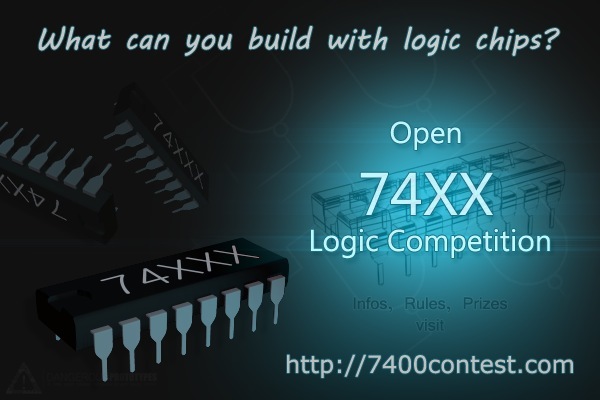 New Open 7400 Logic Competition sponsor: Adafruit Industries! « Adafruit Industries – Makers, hackers, artists, designers and engineers! New Open 7400 Logic Competition sponsor: Adafruit Industries! Adafruit Industries is the latest sponsor of the Open 7400 Competition. Up for grabs is one of their new microtouch AVR development board. this and other prizes could be yours, but only if you get your entry in! Comments Off on New Open 7400 Logic Competition sponsor: Adafruit Industries!